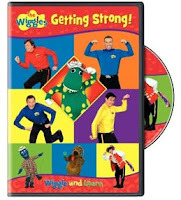 Children can sing and dance to songs by the Wiggles as they learn about exercise, the five senses, and language. Contains 12 episodes filled with the loving, laughing sibling rivalry between Ruby and her little brother Max. A Nick Jr. animated preschool series based on the hugely popular storybooks by Rosemary Wells. Max & Ruby celebrates the warm and humorous relationship between Max, an enthusiastic and determined bunny, and his big sister Ruby. A precocious nine-year-old with a vivid imagination and sense of detecting moves to a sleepy little town with her widowed mom and family friend. Once there, she uncovers a mystery that just might destroy her new home. Winter, spring, summer, fall - there's something special about every season in these classic children's stories! Includes three stories plus two extra bonus stories exclusive to DVD. Encouraged by the great painter Edgar Degas, a young ballerina learns to believe in herself. Features four romance-filled tales starring those lovable chipmunks: Alvin, Simon, and Theodore. Includes: A Chipmunk Valentine; Dr. Simon and Mr. Heart-Throb; Dear Diary; and Theodore & Juliet. Kids learn counting through song with Crystal Taliefero, who brings this story to life with fun-filled vocals and music. Includes 'If You Made a Million' and 'Millions of Cats.' Also includes a read-along option to help kids with reading. Why Dragonfly? What's Up What's Up With The Moon? When a couple of kids wonder what's wrong the the moon, a magical dragonfly whisks them away to the Space Science Institute and the Denver Museum of Nature and Science to find the answer.